shelves. I wasn’t sure if I should use up the food I had or just get rid of it. though it meant wasting money on food that was already paid for. also donate the food to a local food pantry. start the diet after that, but it’s up to you. Did We Start Out Doing the Diet 100 Percent? trip there once or twice a month. own personal shopping lists by store which I’ve posted on my blog. why I love Whole Foods. Most of their foods are Feingold approved. those artificial flavors and I finally bought into the whole diet. for some kids. I’ll discuss salicylates in chapter five. Feingold Diet, stage one and 100 percent compliance with the diet. at new stores, just for him. I was ordering special candy online, just for him. and they started asking him on play dates (first time ever). would get extremely hyper after eating them. I can have sugar!” He was in heaven, and so was I.
world to condemn the world, but to save it. person wasn’t convinced of the diet. He decided to give the yogurt to my son. artificial flavors!” I couldn’t help but laugh. Did I put all of my kids on the diet? apple juice till much later. 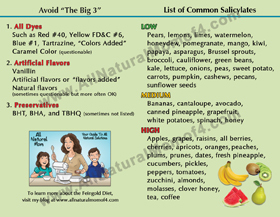 avoid many stage one foods including apples and berries. they may come around later, so don’t give up hope. Do I do the diet? 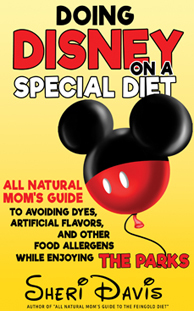 of dyes, I thought I should be a good example and do the diet with him. kids, but it wasn’t something I chose to do. that?” They’re used to eating whatever I’m eating. under the “List of Good Resources” section at the end of the book. to need to put on a poncho because he spit up like crazy. take a much shorter nap, waking up cranky. She was like this for about 36 hours. night. It’s one of the ways I know when something has artificials in it or not. members have reported the same thing with their kids. Do husbands do the diet? changes for, even though it might be hard. likely follow your example, and your wife will love you for it. considerate of the kids though, and I did too! enough to understand. Let them do their own research as well. Watch some of the documentaries together that are listed at the end of this book. of kids are unnecessarily prescribed ADHD medication every day. 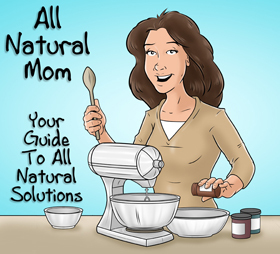 worth a try to remove the chemicals first before trying medications. 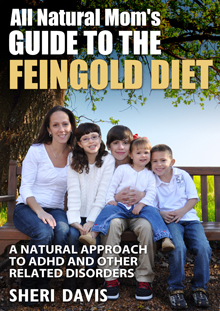 Look for my new e-book, “All Natural Mom’s Guide to the Feingold Diet” coming August 11th, 2014 to Kindle! One of the best books out there is Why Can't My Child Behave? by Jane Hersey. Great couple of chapters. Can't wait to order a copy. When will it be available? Thanks! Good question! 🙂 It's pretty much done but waiting on some legal things and final editing. Did not realize how long all of those things took! I will post as soon as I have a better idea on a date.